Resorts World Manila, the country’s premier entertainment and tourism destination, kick-starts it's Imperial Festival Celebrations with a Feng Shui and Astrology Seminar by world renowned Chinese metaphysics master, Dato' Joey Yap. 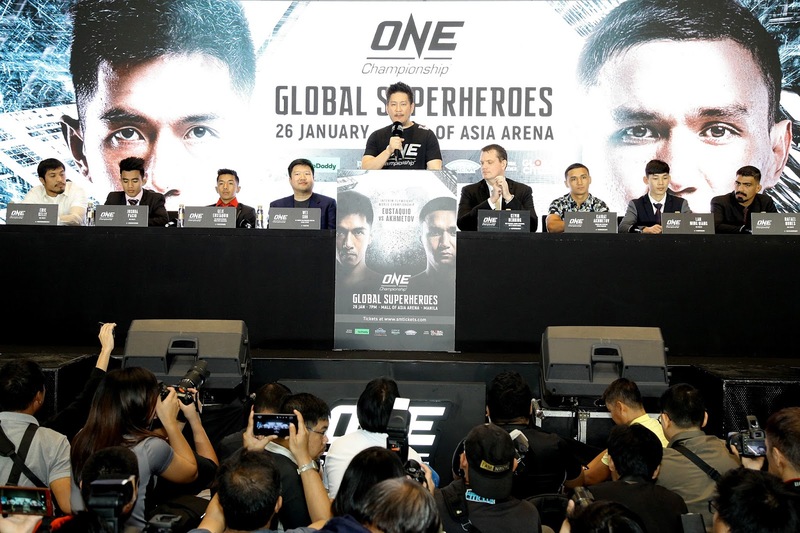 From Left to Right: Eric Kelly, Joshua Pacio, Geje Eustaquio, Co-Founder and Managing Director of Global Citizen, Wei Soo, Chairman and CEO of ONE Championship, Chatri Sityodtong, Vice President for Gaming Operations of City of Dreams Manila, Kevin Benning, Kairat Akhmetov, Lan Ming Qiang, Rafael Nunes. Starting off 2018 with a big bang, the largest global sports media property in Asian history, ONE Championship™ (ONE), recently held the ONE: GLOBAL SUPERHEROES Official Kick-Off Press Conference last Monday, 22 January at the Manila Grand Ballroom of the City of Dreams.